Whether you are an experienced exerciser, a beginner, or somewhere in between, one thing is certain, you are about to experience exercise in a whole new way—exercise the way it should be. "Our mission at Triple Threat FIT is to assist in maintaining excellent HEALTH, optimal FITNESS and build the CHARACTER of all those we come in contact with: from the clients we work with, the facilities we partner with, and the communities in which we are involved." Michael Guilbaud, aka Coach Mikey G, is the President of Triple Threat Fitness & Rehabilitation, LLC. Michael is a firm believer that fitness and athletics provide benefits on multiple levels. From the physical gains, which advance good health and physical strength, to the mental advantages like discipline, confidence, concentration, and overall well-being. Coach Mikey G had these instilled in him as a student athlete. He was a four year student athlete at Felix Varela Senior High, in basketball, track and field, and cross country from 2000 to 2004. Between the years 2004 and 2006, young Coach Mikey G ran for Florida International University, competing in both track and field, and cross country. Coach Mikey G now employs the benefits of being involved in these activities for success, proudly taking it upon himself to instill the values and principles that accentuate an athlete throughout the community, especially the youth. He has already begun to make progress, reaching student athletes as a high school basketball head varsity coach. From 2004 to 2006, Coach Mikey G was the Head junior varsity basketball coach and Assistant varsity coach at Palmetto Senior High School. He is currently the Head varsity coach at La Salle High School. Coach Mikey G continues to play both a significant and positive role in these young men’s lives.He is an adamant believer that it is a privileged opportunity to give to others from the same position from which he once received. He is also a certified Personal Trainer, and nutritionist since 2007. Coach Mikey G plans to use his diversity of experience combined with knowledge of various businesses to promote the many benefits of fitness and athletics in the community. >>> what's Coach Mikey G's mantra: Take care of your health, sustain your fitness, and conserve a strong character. Michael Santiago, aka Coach Santi, grew up in Miami and played a number of sports throughout his childhood. After setting his sights on basketball, his work ethic and dedication to the sport was literally a sunrise to sunset ordeal. He went on to play at the college level for Maryville College in Tennessee and unfortunately suffered a career ending injury which he was later operated on for. After his surgery, Coach Santi shifted his focus over to weight training and exploring different methods within it. Specializing in strength and conditioning training, Coach Santi's positive energy and firm belief of mind over matter, always looks to help push his clients to their ultimate potential and bring the best out of them. >>> what's Coach Santi's mantra: Impossible is nothing. Joann Marie Veger, aka Coach Jrok, cultivated a passion for fitness that came at a very early age in life, growing up on a small island made her always have an active lifestyle from water sports to mountain biking. At the age of 10, she started doing gymnastics and acrobats. Fast forward 10 years later, her life mission became to encourage women find their strength. She holds a degree in Biology, specialized in anatomy and physiology from Pererstuivesnt College Curacao, as well as a holistic health coach certification with the Institute of integrative Nutrition. Because Coach Jrok strongly believes in helping achieve their optimal state of fitness, she later when on to pursue certification as a Personal Trainer with NCSF. She has now been a personal trainer for a little over 8 years now, and holistic coach for 3. Recently, Coach Jrok completed her 200 hour yoga certificate through United Yoga and has become a proud member of the Yoga Alliance to further her mind,body, and health pursuits. >>> what's Coach Jrok's mantra: Success starts with self discipline. Sakia Sanchez, aka Coack Saki, is a young fitness enthusiast. Growing up Coach Saki was involved in many sports, those including basketball, golf, sailing, tennis, soccer, boxing, rowing, and cross fit. This has given her a wealth of insight into all types of athletes, whether they are experienced or inexperienced. It has also enhanced her ability to coach in many different styles. She began coaching at 17 years of age as a rowing instructor. That experience made Coach Saki realize how much she actually enjoyed sharing her knowledge with others, and soon thereafter she expanded. 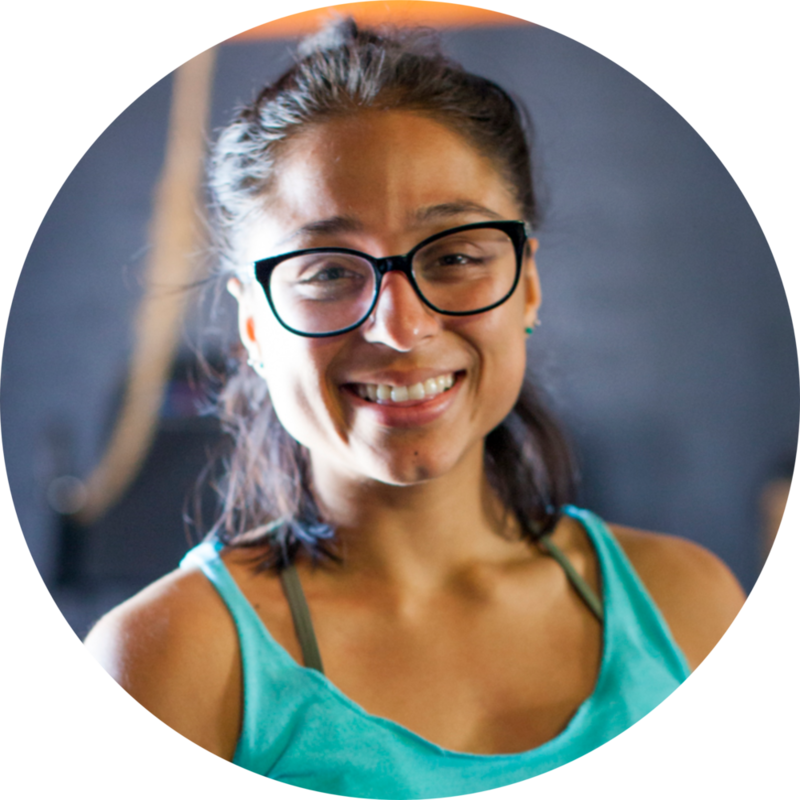 Coach Saki started instructing spinning, cross fit, boxing, and boot camps. There's no denying Coach Saki has a passion for what she does for she believes that fitness is an essential part of everyone's life. >>> what's Coach Saki's mantra: Fear is in the mind.